In 1837 Carlo Erba, a visionary pharmacist, buys out a pharmacy in Brera, in the very heart of Milan, and begins to create new compounds using innovative techniques. Among others, tamarind extract comes along almost immediately, followed by cannabis extract. In 1848 Erba is the first in Italy, together with Doctor Giovanni Polli, to experiment with the effects of hashish. He gives friends and relatives tablets made with “hashish, butter, sugar, cinnamon, vanilla and nutmeg”. Hashish is suggested for the treatment of headaches, arthritis and cholera. The tablets work, and Carlo decides to increase the production from artisanal to industrial. Soon enough he’s moving into Piazza Duomo and launches a series of products. Among these the syrup has particular success, soon becoming a fixture in the alcohol cabinet of middle-class Milanese families, and then all over Italy thanks to the advertising campaign penned by Marcello Dudovich. 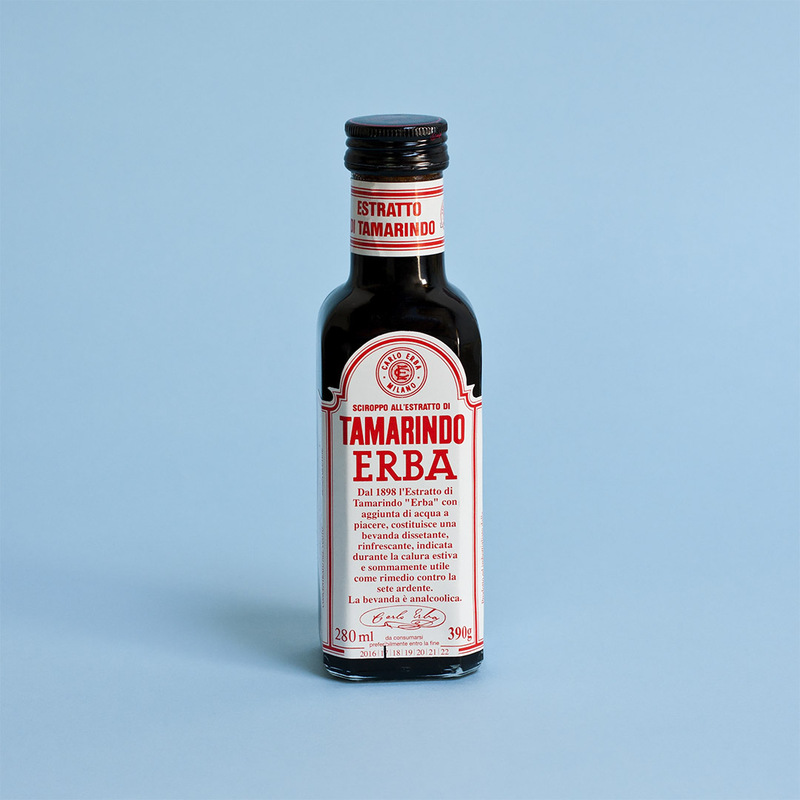 In the '70s the brand was bought by Cedral Tassoni, which produces and bottles Carlo Erba's Tamarind in its Salò facilities, maintaining both the original recipe and the original packaging. 1 part Tamarind syrup to 5 parts water. Stir well. Drink chilled.